Spurs hold a long-standing interest in the midfielder and have again been linked with a summer move. 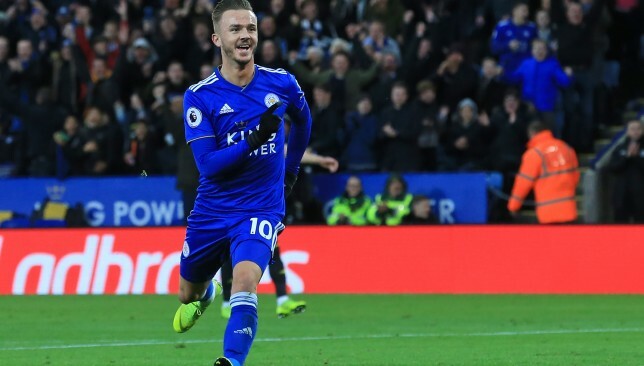 Maddison is in his first season at Leicester after joining from Norwich for £24million and has five goals in 25 games, earning a senior England call in October. Leicester face Spurs at Wembley on Sunday and Puel feels interest in his players compliments the Foxes. He said: “It’s a good feeling because if we play with poor performances and no possibility to develop players then other clubs wouldn’t be interested. Puel’s decision to take off midfielder Maddison against United was jeered by some sections of the home fans. Maddison penned a five-year contract when he moved to the King Power Stadium in June. But Puel was hesitant to stay the Foxes would be ready to give him a bumper new deal to keep him. “This player is just starting his career in the Premier League so he needs to keep focus and concentration,” he added. 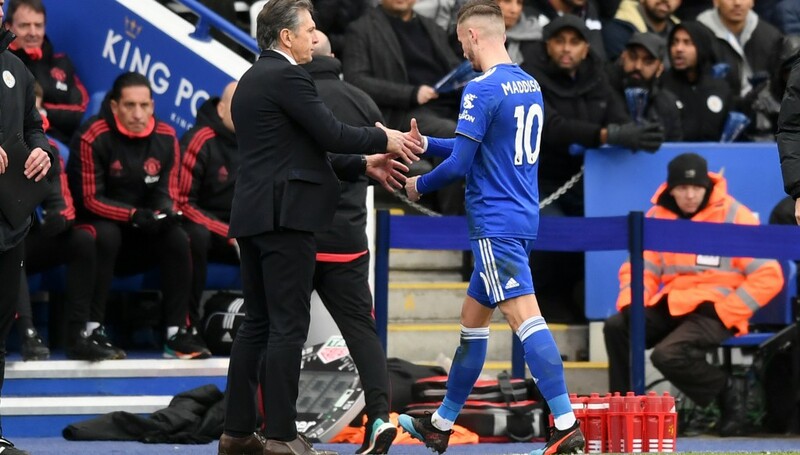 Puel was jeered for substituting Maddison in last weekend’s 1-0 defeat to Manchester United and he has taken him off in eight of the last 10 games. But the Frenchman insisted the 22-year-old is not the complete player and needs to improve. He said: “For young players, they need to show good consistency in games for 90 minutes. Maddison is a young player and has not shown consistency all the time. “It’s normal for young players. At the beginning of the season he was more clinical and needs to find this edge again. Maurizio Sarri wants Jorginho to show his credentials as Chelsea‘s great dictator in Sunday’s Premier League clash at Manchester City. Both City and Sarri’s Chelsea like to dominate possession, with central playmaker Jorginho key to the Blues’ style and substance. Jorginho has played more passes than anyone in the Premier League this season, but has no assists. 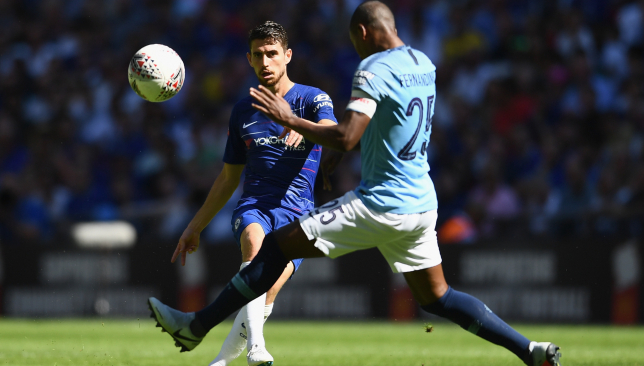 “They are able to play if you stop Fernandinho and also we’re able to play if you stop Jorginho,” Sarri added. “We have options. Maybe they have more options than us because they have worked on this for three seasons. The battle for possession will be an intriguing one, with City accustomed to having their own way, especially at home, where they have scored 43 goals in 13 league games. 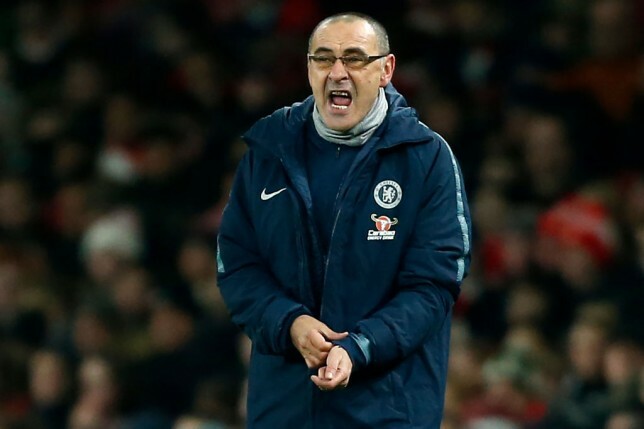 Sarri added: “I expect Guardiola’s team want to always be in control of the match, always in possession of the ball and they’re able to do it. So it’s a very difficult match. “We are used to having the ball and possession so on Sunday it will be very different. Chelsea are unbeaten in seven fixtures against the defending champions, having ended City’s 21-match unbeaten run in the league on December 8. That came as a surprise to many, with Sarri on Friday admitting his side were “lucky” in the win, built on strong defence and taking goalscoring opportunities, through N’Golo Kante and David Luiz. 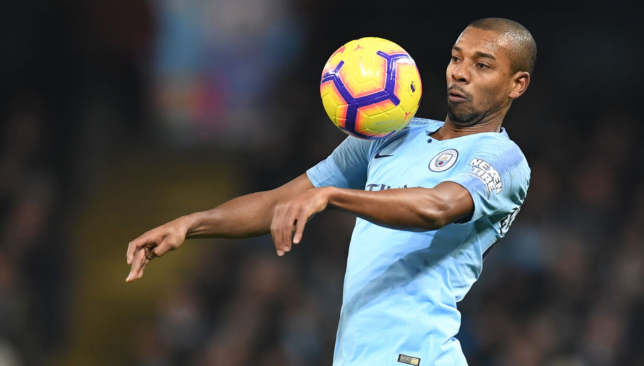 Fernandinho will be equally as key for City. Strikers were conspicuous by their absence that day, with Hazard deployed as Chelsea’s ‘false nine’. Higuain’s arrival has reduced the likelihood of Hazard being required to lead the line, but Sarri refused to rule out that possibility at the Etihad Stadium. There has been a nine-goal swing in Chelsea’s last two performances. A 4-0 loss at Bournemouth – Chelsea’s worst in the Premier League since September 1996 – was followed by a 5-0 win over bottom club Huddersfield, when Higuain and Hazard each scored twice. Sarri expressed hope, rather than conviction, that Chelsea will be at their best at City. “Now we know very well we need consistency. I hope our version on Sunday will be the best,” he added.